It would be all too easy to be misled by the twinkling eyes, soft Irish accent, and easygoing conversation of Dr. Peter Cooney into thinking that he is just a regular, meet-in-a-pub sort of guy. And he is. But that’s far from the whole story. 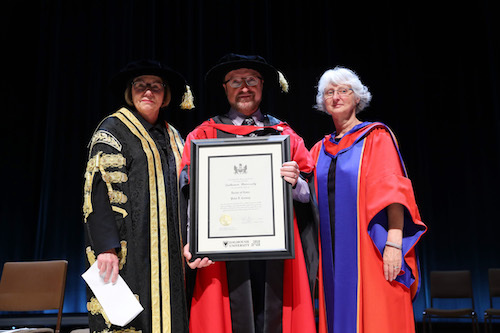 At the Faculty of Dentistry’s annual White Coat ceremony In September 2018, as part of its 200th anniversary celebrations, Dalhousie University conferred on Dr. Cooney an honorary doctorate in recognition of the many important roles he has had during his career: clinician, mentor, public health practitioner and advocate, administrator, and public servant. It was an honour he has earned. Born and educated in Ireland, Dr. Cooney received his Bachelor of Dental Surgery in 1977 from the National University of Ireland. He practised general dentistry near London, England, before moving to Newfoundland in 1979 with his wife, a Newfoundlander. And thus his life in Canada began. 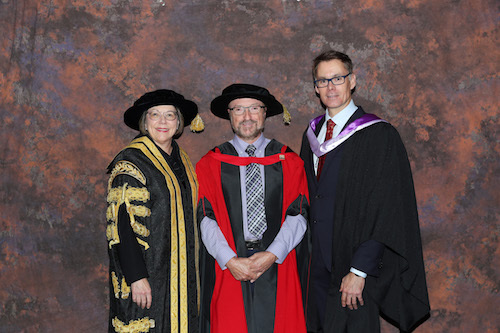 A diploma in public health and a variety of increasingly influential roles in public health in Manitoba and Ottawa led finally to his appointment as Canada’s inaugural chief dental officer for Canada in 2004. This was a role to which Dr. Cooney brought great expertise, energy, diplomacy, humanity, and humour so as to engage health professionals, government decision-makers, academics, and individuals in the pursuit of better oral health for all Canadians. As Canada’s chief dental officer, Dr. Cooney lobbied for dentistry to be included in the Canadian Health Measures Survey, undertaken in 2007. This was the first national dental survey in 40 years and was, as Dr. Ferne Kraglund, assistant dean of students at Dalhousie’s Faculty of Dentistry says, “a game changer for public health dentistry in Canada”. It revealed that one person in three (33%) in Canada has a clinical dental need, half of whom (16%) do not go for care because they cannot afford it. The results were the launch pad for numerous consultations and collaborations aimed at formulating strategies to improve the health care of Canadians. Dr. Cooney also broke new ground through his leadership in the Inuit Oral Health Survey and the First Nations Oral Health Survey, which took place in 2008 and 2009 respectively. Dr. Mary McNally, assistant dean of research in the Faculty of Dentistry at Dalhousie University says that these surveys “will have enduring importance and value” as the first and only surveys of this nature to be conducted in Canada, not least for Dr. Cooney’s “inimitable diplomacy coupled with tireless networking”, which enabled him to bring “appropriate Indigenous voices to guide and support the work”. Improving the oral health of vulnerable populations remains a passion and a mission. 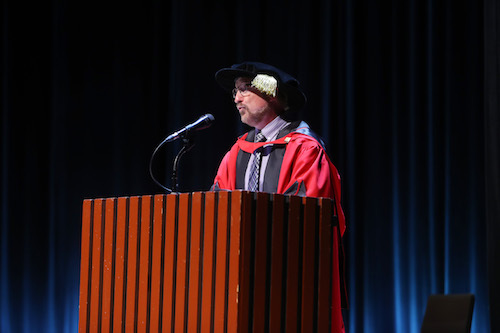 In his address at the White Coat ceremony, Dr. Cooney urged new students to consider the many for whom there are barriers to receiving oral health care. Now retired from his position as chief dental officer, Dr. Cooney remains active in the dental public health community, committed to water fluoridation and looking forward to the next national survey in 2022.